720p vs 1080p vs 1440p vs 4K vs 8K – Which Should I Choose? 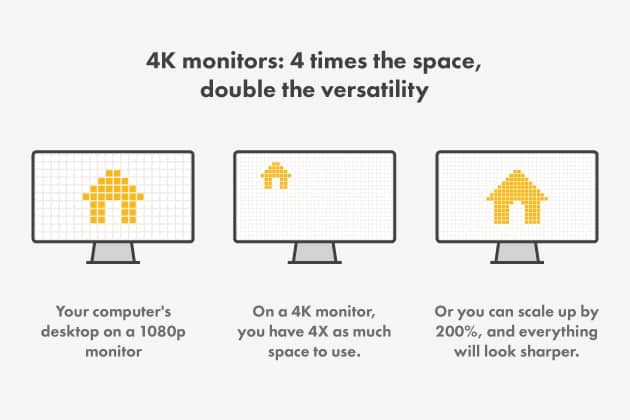 You should choose a monitor resolution according to your budget, computer configuration, and the desired frame rate. By all means, don’t get a 720p monitor as 1080p is the standard and cheap nowadays. Go for 1440p or 4K only if you are sure your PC rig will be able to handle it. The higher the resolution the better, right? You get more pixels which means a better image quality with more crisp and vivid details as well as additional screen real estate. 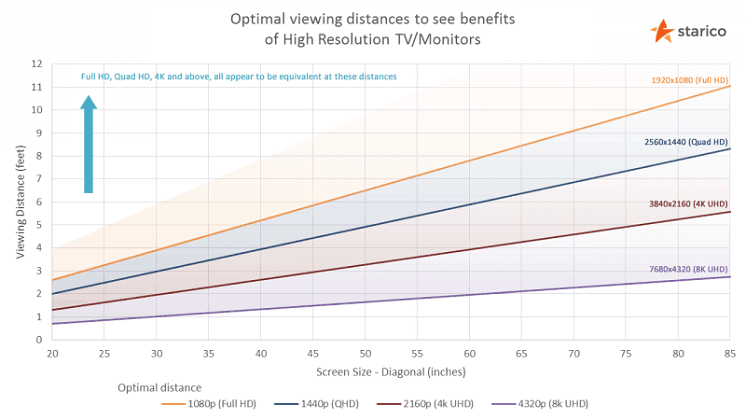 However, there are some advantages to a lower resolution display; since it’s less demanding to drive, you can achieve higher frame rates and therefore a smoother performance. 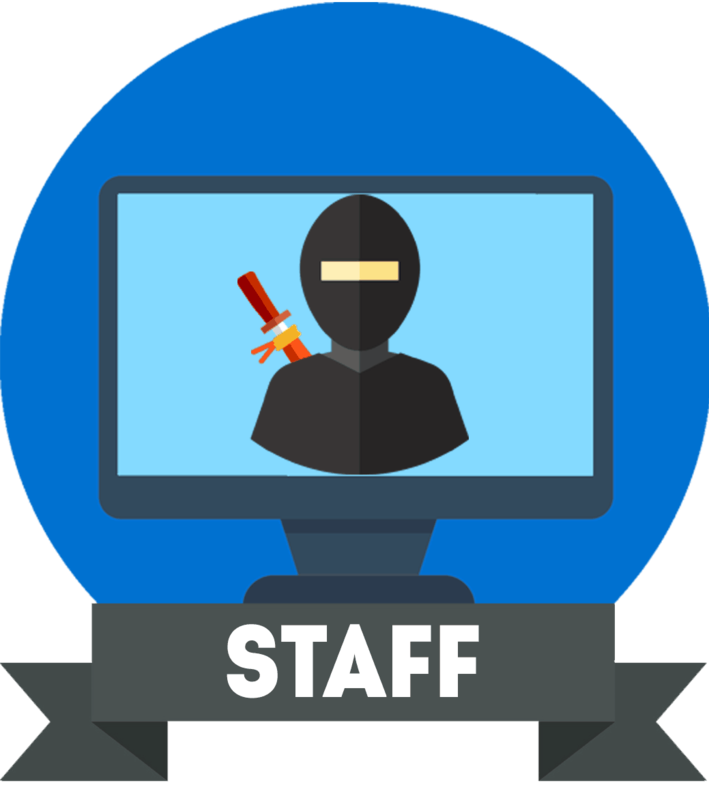 For everyday use such as web surfing, working with spreadsheets, etc this isn’t an issue. Even with a cheap graphics card such as the ~$100 AMD RX 550, you can smoothly get by regular desktop use. For gaming, on the other hand, there are many things to take into consideration. All of which we’ll cover in this article – but first, let’s deal with the basics. 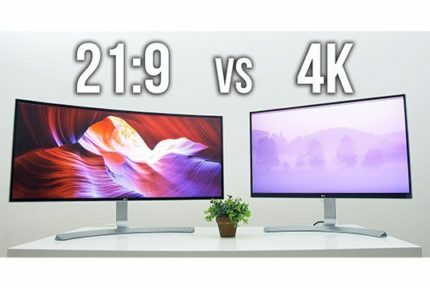 Additionally, you may stumble upon ultra-wide resolutions which have 21:9 aspect ratio as opposed to the standard 16:9 including 2560×1080 (UltraWide Full HD), 3440×1440 (UltraWide Quad HD), and 3840×1600 (UltraWide Quad HD+). Sometimes, certain resolutions feature a 16:10 or 21:10 aspect ratio for extra vertical screen space often beneficial for productivity. These are 1920×1200, 2560×1600, 3440×1600, and so on. 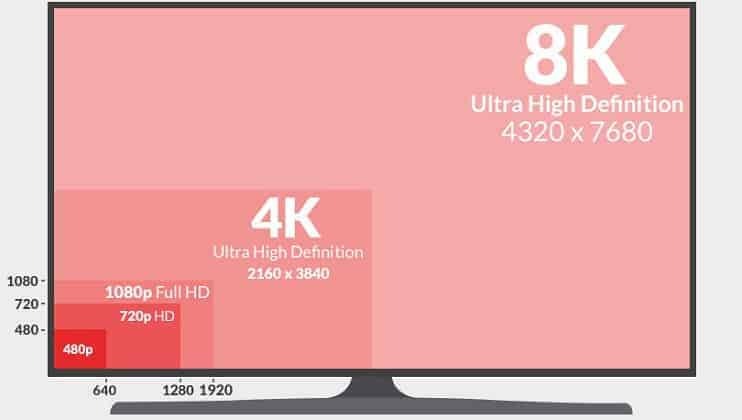 While there are 8K monitors and TVs already available now, you shouldn’t get one as they are very expensive and there is no 8K content anyway. Also, don’t get a 720p display as 1080p is a huge improvement and the standard for new content; what’s more, it’s affordable. Another important thing to take into account when looking for a new display is the relation between the screen size and the resolution, also referred to as the pixel density or pixels per inch. For instance, the 1080p resolution won’t look the same on a 24-inch monitor and a 27-inch monitor. Because the screen is smaller, there will be more pixels per inch and hence the picture will be more vibrant and clear. Too low pixel density will make tiny items such as icons appear pixelated while text will be smudgy. If the pixel density is too high, everything will appear small, but you will be able to scale the interface and get a more detailed picture. Consult the chart below to find the optimal viewing distance for certain screen size/resolution ratios at which individual pixels aren’t distinguishable from one another. In video games, it’s not always all about the picture quality. Many players willingly sacrifice image quality for a better performance. This is particularly the case with competitive FPS games. 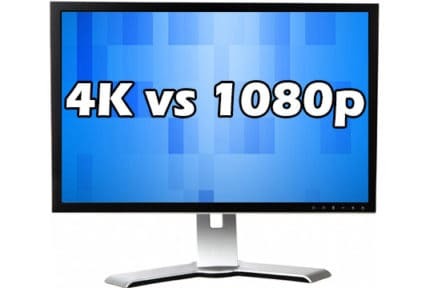 Certain gaming monitors offer a higher refresh rate than the standard, such as 144Hz, 200Hz, 240Hz, etc which allows them to display the frame rates faster, in turn, providing you with a lot smoother gameplay. The higher the framerate, the more demanding CPU/GPU requirements are at a given resolution. That’s why many gamers opt for a 1080p 144Hz gaming monitors instead of 1440p and 60Hz. Or, for that matter, a 1440p 144Hz display rather than 4K and 60Hz. In the end, it all boils down to your own personal preference. Would you like a better image quality? Go for the higher resolution display. If you play fast-paced and competitive games, you’ll find that a higher refresh rate monitor will make your gaming experience more enjoyable rather than one with a higher resolution. Finally, you have to ensure that your PC gear will meet the requirements of your desired resolution/frame rate for certain video games. 4K vs 1080p - Is UHD Worth The Upgrade?